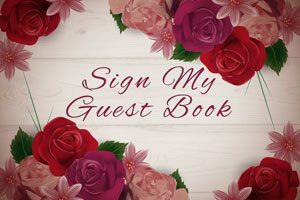 Thank you for signing Dr. Long's guest book. My husband and I came home one evening, and sat down to rest, turning on the TV. I began to channel surf to see what was on, when we saw you singing on a PBS show. We were immediately captivated, and couldn’t move the remainder of the show. believe you have to be in an angelic partnership. Your performance was so beautiful and touching. ~ J.W. I believe you have to be in an angelic partnership. Your performance was so beautiful and touching. ‘Ave Maria: The Universal and Timeless Hymn’ arrived today …. and now will be resolved the vexing question as to whether one can actually wear out a cd. ~ B.D.M. Really an excellent site – keep it going… greetz from Vienna/Austria and – stay creative!! Dear Dr. Marsha Long: I caught your program on EWTN. I was enchanted. Saw you on television. Thanks for your wonderful music. Keep it on the air. I’ll make this as pithy as possible. I was pleasantly surprised to see you again last night (7/8/04) on Backstage EWTN. I just cannot comprehend your ability to accompany yourself and sing with such professionalism. I would need help untangling my fingers from the strings. I have also found playing your CD while driving is most peaceful and relaxing. Hope to see you again soon, both on TV and here in the Midwest area. Fantastic!! Pax Domini sit semper vobiscum. ~ B.K. A haunting voice singing haunting music–what a heavenly combination! ~ F.E. DR. LONG: I JUST DISCOVERED YOU LAST NIGHT VIA EWTN. PINCH ME, AM I DREAMING, ARE YOU REAL? ~ D.M. Wonderful and highly original program that lovers of all music should appreciate. Was deeply inspired by your St. Patrick Cathedral concert on June 6. ~ J.M. Saw your EWTN backstage performance. Extemely well done. Thoroughly enjoyed every minute. Must have many more encores. Congratulations! ~ B.K. 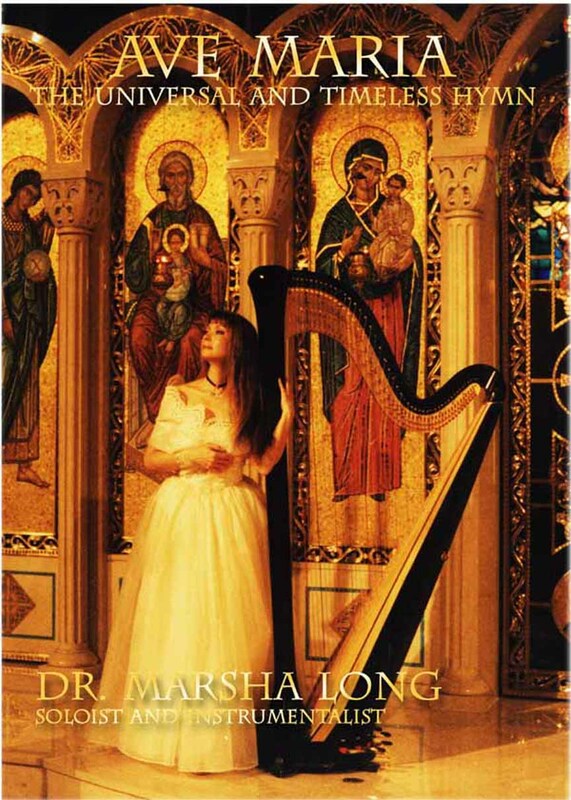 Hello Marsha, It was very inspiring and wonderful to hear your beautiful voice singing for our Lady. It was so beautiful to see how you displayed the Rosary while singing. Catholics are not the majority living in the south and it was wonderful to see on TV (EWTN). Your voice is beautiful and inspiring. I am looking forward to getting your Ave Maria CD. Thank you. ~ D.B. Hello! Love Your Ave CD! To justify an absolute favorite is like asking, which do you like best, ice cream or candy. At any rate here goes. No.1 (Track-2) No.1-1/2 (Tracks 4-5-6) No. 2 (Track 18) Have become a HARP freak since seeing you on EWTN. Saw you on t.v. last night and am HOOKED! It was a casual show on ch 17 (ewtn??) Your music is beautiful and inspiring and spiritual. Thank you! 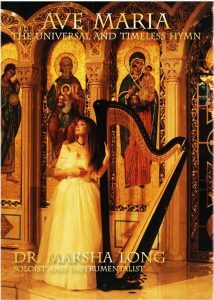 ~ L. E.
Dr. Long: Your recent EWTN performance was simply marvelous – exquisitely beautiful. I’m purchasing your Ave Maria CD today, and looking forward to hearing it shortly. Best wishes, and thank you. I’m from the Chicago, IL. area (Aurora actually). Your Ave Maria CD has been purchased from St. Paul Alba House, just waiting for delivery. Hope you head our way soon. Again, congratulations, well done. ~ F.K. As I reviewed the site I was impressed to see the dedication and charitable work you are doing with people with disabilities. ~ S.F.